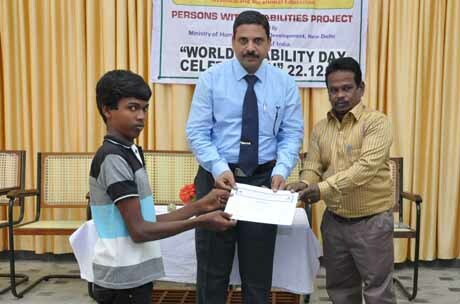 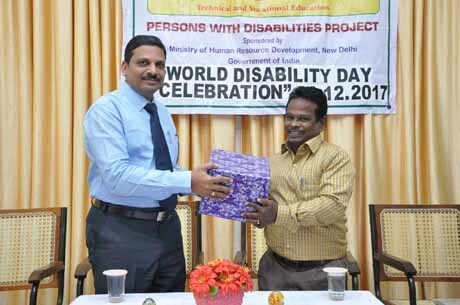 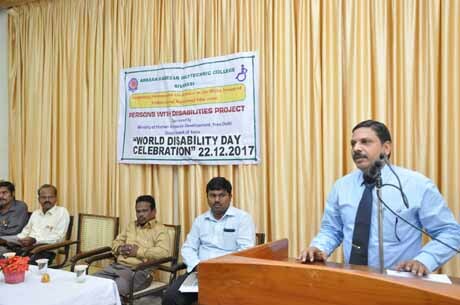 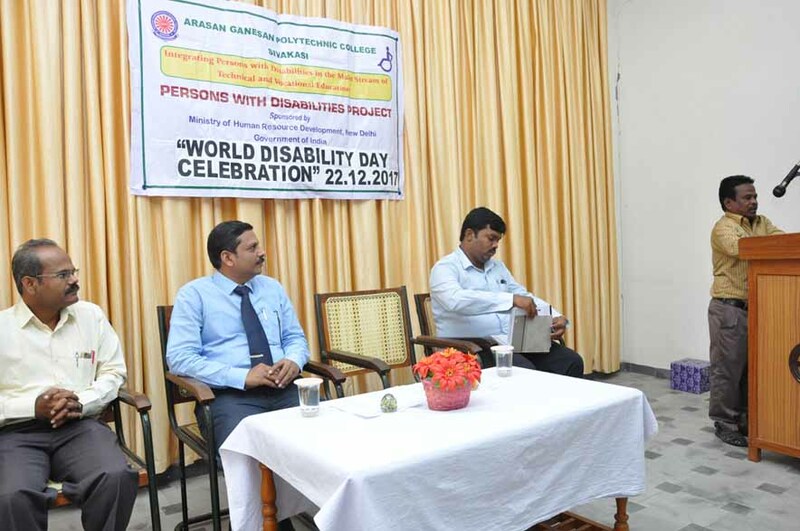 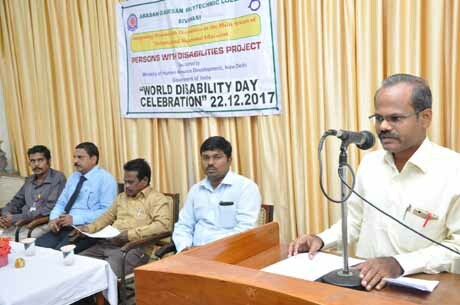 "World Disability Day Celebration" organized by Persons with Diabilities Project (PWD) on 22/12/2017, the Chief Guest of the day is Mr. Siva Sankaran, District Disabled Welfare Officer, Virudhunagar. 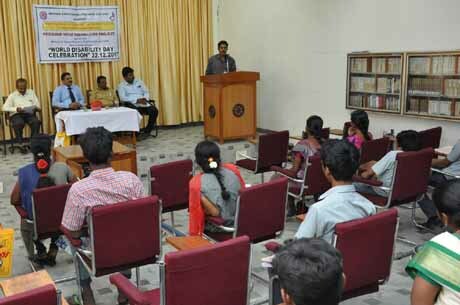 Address by our Academic Officer Mr.M.Pugazh, Lect. 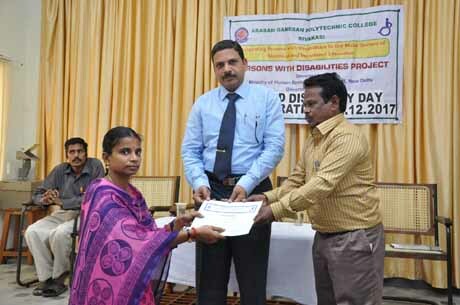 (SS)/P.Tech.